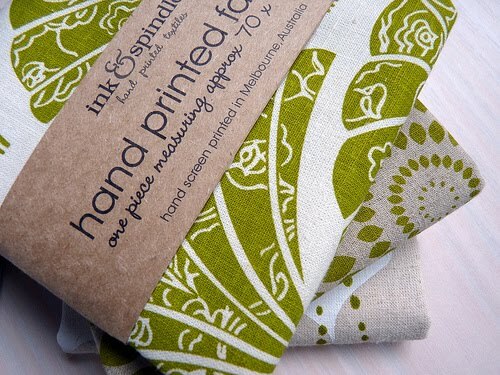 Fabrics by boutique Australian fabric designers Lara Cameron and Tegan Rose otherwise known as Ink & Spindle. All fabrics are hand screen printed using organic fabrics and environmentally friendly printing techniques. How could I resist these? Nice fabrics, love the greens. 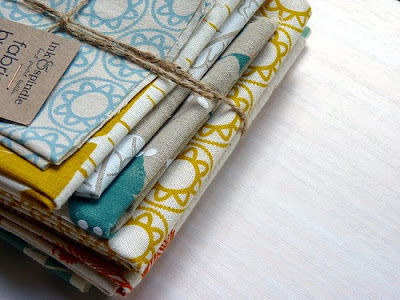 Beautiful colours, lovely prints - are these to be turned into a quilt this week? YUMMM! I particularly like the combo of the gray & dark turquoise/teal! Oh. Thanks for the introduction. These are new to me. I love the sunflower ones. That's awesome. It's great to see such great designs with organic fabrics these days. Lovely fabrics and colours! Especially loving the mustard prints. Oooh where did you find these Rita? oh! yes...have been dreaming about their specialty fabric for a long time....just love them! Such beautiful fabrics! And they look like they were just made for you! sigh. You Aussies are lucky to have them! !